You may remember awhile back I did a review of the music of recording artist Naomi Psalm titled “The Musical Art of Naomi Psalm”.And remember that section that talked about looking for a song by Naomi Psalm in October that was to be in a movie titled Ghostumentary? Well, it’s here! The title of the song, “Now You See Me”, and the atmosphere created in the song were made to fit perfectly for the film with the line “Now you see me – now you don’t”. And as always, with Naomi’s consistently good songwriting, it is not only a good fit for the film but is also a very catchy song that will definitely be stuck in your head! Psalm has proved once again that she is a consistently good songwriter and vocalist! Produced by Scot Alexander (from the band Dishwalla), the big thumpy beat that comes in and the thick bass sounds drive the song home accenting, pulsating and drawing you into all those little nuances, such as the effects on the vocals, which in spots will leave a haunting impression as you hear it in stereo. (Yes, stereo is still the best way to listen to music) The mixing job and effects on the vocals are perfect and helped lend to the song the haunting effect that make the lyrics come alive. The depth of Psalm’s songwriting will always intrigue as you wonder what some of the deeper meanings of the lyrics are when she sings “I’m not only in your dreams, but that’s the way it seems”. If you are a fan of the song “Ink” from the Stare album, you’ll also be a fan of “Now You See Me”, which is in the same creative vein. and being a visual artist myself as well I had to get into that right away. Randy: What other creative arts are you into? Naomi: I’m also a visual artist using the medium of water acrylics. I got into that in 2003 when I didn’t want to pay someone else to design my album cover. Randy: I also paint (oil paint), so I have to ask, was there any artists (visual) that have inspired you or that you look up to? Naomi: No one in particular. I just really like artists that paint abstract and colorful. Randy: How did you get started in music? Naomi: I began writing poetry when I was 8. When I was 13, I inherited my grandfather’s guitar and started playing. I am self taught, and would glean inspiration from friends of my parents that would come over and jam all the time. Naomi: I am deeply passionate about music. It is what makes me feel alive. The world seems right when I am performing music, writing songs, and creating art. Naomi: My takamine is my favorite guitar and has been with me since my dad bought me it in 1993. It gets better with age. Randy: Yeah, the older the instruments the better they sound. So, who are your biggest influences and musical role models? Naomi: Brandi Carlile is one of my biggest influences. She’s is an incredible singer/songwriter who really moves me. Randy: What are you working on and what’s in the future for Naomi Psalm? Naomi: I am finishing up an EP right now, as well as 2 music videos. I also just released the song that is in the movie Ghostumentary. Randy: Does the EP you’re working on have a title yet? And can you divulge any of the song titles from the EP? Naomi: I have a title rolling around in my head, but it’s top secret at this point. “Hole in the Carpet” and “The Postman” are 2 song titles I’ll give away. Randy: How did you get hooked up with doing the song for Ghostumentary? were already working on that you tailored to the movie? How did it come together creatively? Naomi: I am friends with one of the movie directors and he needed a theme song. I watched some rough footage for inspiration, and wrote the song specifically for the movie. That song came together really fast for me. The lyrics and music happened simultaneously. Randy: Awesome! Do you have any collaborations going on or planned? 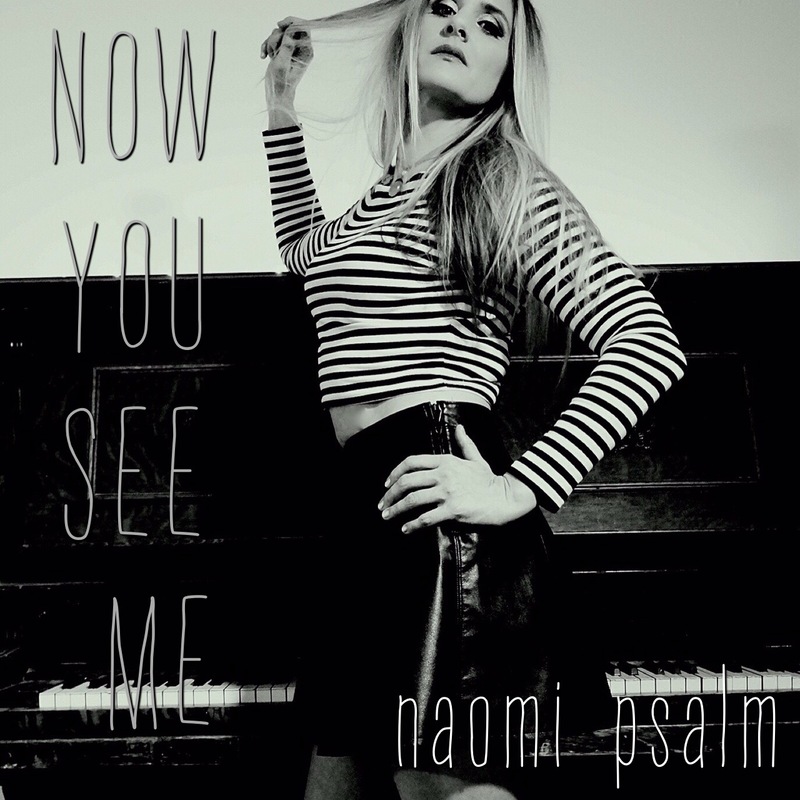 Naomi: There are 2 newly released songs out on YouTube that I have written with a local musician Ryan Bayne. Randy: Cool! Link us up. Randy: Thanks for taking the time to interview! This entry was posted in Art, Artist Interview, indie, Music, Music interview, Music review, new music, New Release and tagged Alberta, alternative pop, Artist Interview, Artist Review, Artist Spolight, Barley Station, Boise, CA Marshall, Canada, Edmonton, Feature, Ghostumentary, Halloween, ID, Idaho, Indiehabit, Ink, Missouri, music, Music Review, Naomi Psalm, new release, Now You See Me, randy wayne belt, SMC, song review, Stare, Starlight Music Chronicles, USA on October 30, 2015 by Randy Wayne Belt. The song will draw you in by its pure passionate believability. It is, in fact, about a direct experience, in the form of a much hoped for date/romance that ended up not coming to pass. But we’ll find out more about that in the interview. When you hear it, there will be no question that the artists truest emotions went into the writing and production of the song. “Georgia Moon” gives you a down home country feel as well, and stays relatively acoustical until the chorus… then a pulsing bass drum kicks in driving the song home. Then the snare drum works its way in on the downbeat further driving the song home around the two minute mark. And shortly thereafter, a violin solo ( or fiddle solo, as we call it here in the country) smoothly rolls its way in – it a perfect fit, adding an extra romantic mood to the song in almost serenade fashion and providing the song with the perfect bridge. The dynamics of this song make it, what I call, “a stayer”. It is something you could listen to again and again, and the more you listen, the more you like it and the more you feel it. It is something that if it had the opportunity to go onto charts like Billboard’s Top 100, would find a nice comfortable place and just stay there inching it’s way up until it’s peak and then staying there a long time in that area. Showing a musical maturity well beyond her years, it is clear that Katie Belle Akin will be around in the music industry for some time to come. All she needs to do is never give up. If I could personally pass the country music torch of Taylor Swift to a new recipient, based on integrity, humility, likeablity, and pure talent, it goes to Katie Belle Akin. Katie now holds the title of Miss US Nation Teen Georgia, and many kudos to her for using this as an opportunity to bring awareness to an important social issue, and one which is a topic that needs to be discussed more. Now, I normally don’t like to pull much from other interviews, but I feel this is a very important message, and before I go into my own interview with her, I am going to quote from Katie’s interview at the beginning of August on A.V.A. Live Radio where she talks about her participation in the Teen Nation Tour (TNT). 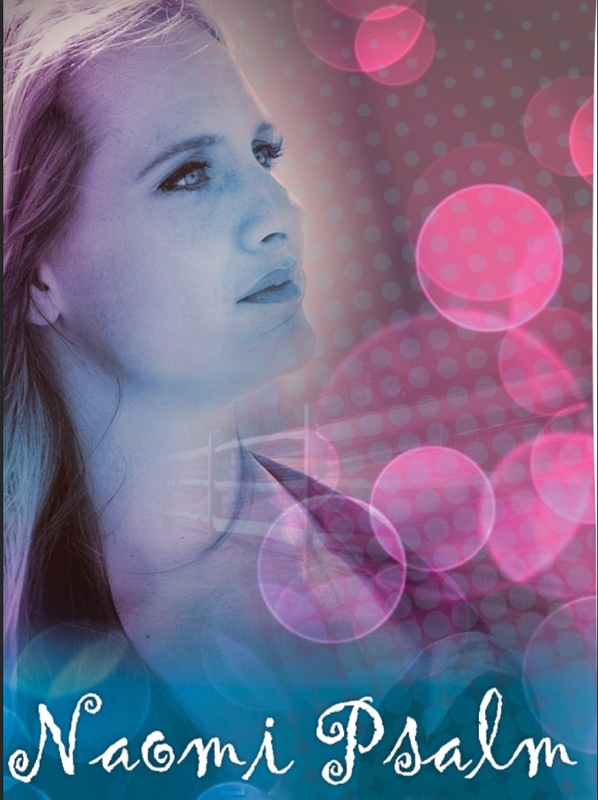 Katie writes: “Teen Tour…I have traveled and co-headlined with the Teen Nation Tour ( TNT) this is an anti-bully message tour which travels through out the US to mainly Middle schools and High Schools. I performed with this tour for 16 weeks between late 2012 to late 2014. I have been bullied in school , it started in kindergarten and continued on and off while I was in both private and public school. I suffered from depression and even contemplated suicide. As you might guess, Katie is a very busy young lady and balances a very intense schedule, so catching up with her isn’t always easy, but I managed to catch up with her recently and I suppose since I’m on the topic of tours here, I guess I’ll start my first question in relation to touring! Randy: If you could tour with any other artist or group, what would your top 5 picks be? Randy: Fantastic choices! And what artists/bands were you exposed to growing up and how did that impact the music you have been making and will make? Katie: My parents are always listening to music; classic rock, jazz and pop rock and country. Music is associated with “setting a mood”, “feel good moments”, “memory making”… when I am songwriting I visualize the reaction my listeners may have, will it make them happy, will it evoke a memory…. This is the type of impact I strive for with my music. Randy: Do you come from a musical family then? Anyone else involved in music in any way? I always ask this, if you don’t mind. Katie: My family is artistic but not necessarily completely oriented toward music. My Aunt and Great Uncle are both artists, my mother has a very strong alto voice, my grandma and her grandfather were concert pianist… I am the first to be a singer/songwriter/performer..
Randy: That all counts. Is there a moment for you where you just KNEW you wanted to do music for a living? Tell me about that moment. Katie: I have been enthralled with performing since I was in elementary school. I took dance from age 3 up through the 6th grade. In middle school I had to make my first major decisions on what to persue… it was either dance or my music. I had known in my heart for a few years music was a passion for me. I had my first songwriting session when I was 12 and literally fell in love with songwriting and the entire process of bringing a song alive through performance and recording. Randy: Your song “Fallin For You” is one of my personal favorites – I am such a melody driven person. I love a great melody! When you look back on that song, how do you feel about it now? Katie: “Fallin For You” was a venture in pulling in some R&B influences and producing it with a country influenced sound. I love this song and have it in my set list for most of my performances. My music originates from real life events and you know…. When a cute boy walks by…. What pops in your head?? Randy: I know what its like to hear your own song a million times and get sick of it, but after a break from it, it can give a refreshing view on it once again. Do you still like that song? Have you gone back and heard it again with a fresh perspective? Katie: I still love this song, and if time allows it is always my set list!! As far as a fresh perspective, girls are always checkin’ out boys and it’s fun to have a song that speaks to those feelings you get when you are around someone you think is cute, sweet and makes your heart race. Randy: What projects are you working on right now? I’ve heard rumors of a new EP possibly? 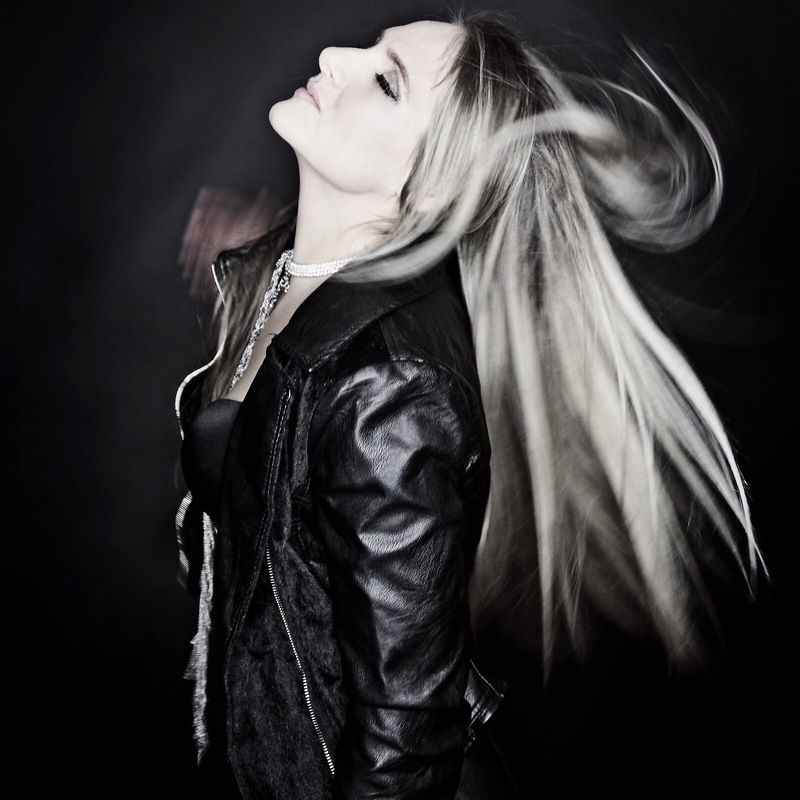 Katie: Since the release of my last EP “ Next Thing in Tennessee” in spring of 2014, I have been writing new music. I released “Georgia Moon” in April of 2015 as a single and this song has done real well. Plans for 2015/16 do include an EP or maybe a full album. Myself and my main co-writer in Nashville are still focused on composing additional songs for consideration for these projects. Also, I am always looking at TOP 40 hits to do re-mixes on and release as singles to give my fans fresh material. My team and I are working on a webisode series to incorporate the cover song LIVE sessions and song requests.. looking forward to getting that under way. Randy: That sounds fascinating and engaging for sure! So, what song – out of the ones you already released/written, means the most to you? And why? 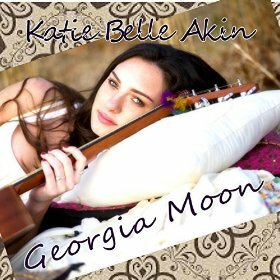 Katie: The song that means the most to me at this point in time is “Georgia Moon”. I wrote this about a summer romance that really never came to be. I had met a really nice guy at spring break in Florida. He is a Georgia boy but lived about 1 ½ hours from me. We talked and planned our first date, we were going to go fishing in the evening and stay out till the stars came out… well as the summer wore on I realized this was just not going to happen because our phones got farther and farther apart and he stopped calling me. The date never happened and that was the inspiration behind writing Georgia Moon. Randy: That song is has such a romantic vibe to it, so I kind of wondered if that one would be the one that meant a lot when you wrote it. Are you planning any collaborations or duets? Randy: Yeah, people need to be aware of what style(s) that would work best. That’s great forethought! Now tell me, what has been the defining achievement of your musical career so far? Katie: Every year I can reflect and choose something that in hindsight reveals itself as an achievement in my 4 ½- 5 years I have been dedicated to developing my music. This year I would say I am doing more shows where I am being compensated than “exposure” shows which generally offer no compensation. That has been great, but a bigger achievement has been the success of “Georgia Moon”. The song has received several nominations in a couple different awards shows as Song of The Year, Modern Country Song of The Year, and for me: Songwriter of The Year. Randy: I saw and that’s great! So happy for you! As a recording artist myself, I always have to ask this question: What is the writing process like for you? What do you come up with first? Does it vary? Chords, a melodic progression, lyrics, etc.? Katie: The writing process is not a “scheduled” thing, I always am writing down one liners, adjectives, chord ideas etc…. every day or sometimes just once a week. I rely on all these notes to get things flowing when in my “official” songwriting sessions which I mainly do in Nashville. Randy: And when you write, do you write on guitar or piano? Or what? How does it work for you? Katie: I am not a huge guitar player, I prefer keyboards so I work out my chords there first. I typically record to my phone to preserve the idea or my ipad. Katie: I listen to everything! Luke Bryan, Miranda Lambert, Lorde, T Swift, J Cole, Beyonce, Keith Urban, Classic Rock, Lana de Ray… the list goes on… if I hear a song I like I BUY IT!! Randy: What do you consider the best album’s (as a whole) in the past 10 years? Randy: Well, I guess I’m an old school album guy but those are good choices and so varied. If you could play at any venue you wanted at least once in the entire world, where would it be? Katie: My own hometown, a sold out show at Phillips Arena, and all my solid fans getting the best seats and box seats. Randy: What words of advice or inspiration would you like to give to anyone who may have a dream to be a recording artist, or be a singer, or dancer, or really anything that is a dream to them? Katie: If you get the bug-sting young like I did, get involved in musical theater, acting, dance and musical instrument, go to your local songwriter nites and sit in and absorb everything you can. Start songwriting….don’t be shy, get out there and around others who have gone before you. This is a long term thing if you want a career in the music industry…everyday do something… for adults who have that yearning to jump in I would think a lot of the same things apply. Katie: My best performance: I traveled with Teen Nation Tour in 2012/13/14. I remember one Friday afternoon we were in Evansville Indiana and their first football game of the season was that night so the students were ready to be out of school for the day. I gave my talk about “self-worth” and started in on my original INVINCIBLE ( this song has a really good beat and the lyrics are empowering ) the students picked up on the beat and were clapping and stomping their feet , We all started dancing …my second song was 22 by T Swift and that just took them over the top,,,it was magical to have 2500+ students dancing, clapping, screaming etc…. My worst performance: there really isn’t one, I am a very positive person, “worst” is not in my vocabulary…. I try to learn from all my experiences… and love my audience whether its 5 people or hundreds of people. Randy: That’s such a great attitude! The top 5 most important things in life to you are? Randy: Do you have any upcoming shows or events you’d like to tell about? Katie: I am excited about 3 upcoming Red Carpet/Awards Shows: Women in RadioAtlanta, The Josie Radio Show Awards, Nashville and The International Music and Theater Awards, Atlanta. I am nominated along with my single “Georgia Moon” in multiple categories, several local shows are booked and my complete show schedule can be found on my Reverb Nation page. Randy: What are you most appreciative of for all your successes thus far? Katie: I am so appreciative of the help and support from my parents and I would not be in this stage of my music if it wasn’t for them. I hold in high honor their love and guidance along with the wisdom and love I receive from my relationship and prayer with God. This entry was posted in indie, Music, Music interview, Music review, recording artist and tagged A.V.A. Live Radio, album, alternative country, Artist Interview, Barley Station, CA Marshall, Canada, country, Country Music, country pop, Edmonton Alberta, Georgia, Georgia Moon, Indiehabit, Katie Belle, Katie Belle Akin, Miss US Nation Teen Georgia, Missouri, new release, randy wayne belt, randy's blog, SMC, song review, Spotlight Artist, Starlight Music Chronicles, Teen Nation Tour, USA on October 13, 2015 by Randy Wayne Belt.